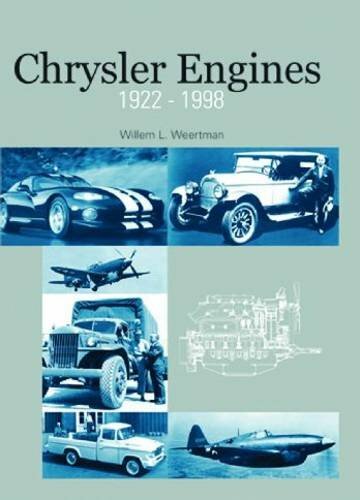 Product Description: This book chronicles over 75 years of engine design, development, and production at Chrysler Corporation. Every production engine built by Chrysler is covered, with descriptions, pictures, specifications, and timelines provided for each. Each engine is defined in terms of its basic structure (including its cylinder bore spacing, number of main bearings, and valve operation). In addition to the specifications, the book also looks at the personalities behind the engines' development and the vehicles in which the engines were used. From two early (albeit unsuccessful) attempts prior to the incorporation of Chrysler in 1925 through the 1998 merger of Chrysler and Daimler Benz AG, Chrysler Engines 1922-1998 provides the inside story on many landmark engines.